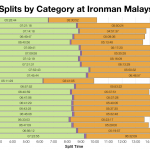 Ironman Malaysia was the first of the Ironman races over the weekend and the second Ill review. It’s a smaller race, with over 1,000 competitors, but comes with 50 Kona slots for the 2019 Ironman World Championship. 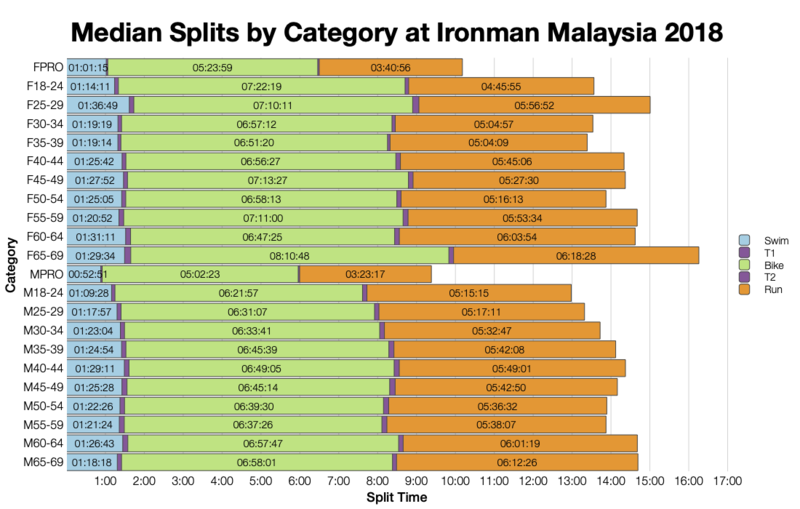 Conditions make for a tough race and times are at the slow end for Ironman. 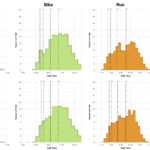 This year’s race trends similarly to the previous 4 years of results. Splits are slightly slower on the run and so also slightly slower overall, but otherwise much the same. This year looks to be typical for the course. DNF rates are the highest of the last 3 years, but only marginally. Overall they’re consistent with previous years of racing. 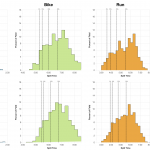 Given how closely the distributions match up to previous years the medians follow a similar trend.There’s little to pick apart from previous years and trends aren’t consistent over the age groups. While the majority of athletes racing in Malaysia come from the Asia-Pacific region, the Kona slot positions are spread across a very broad range of nationalities. 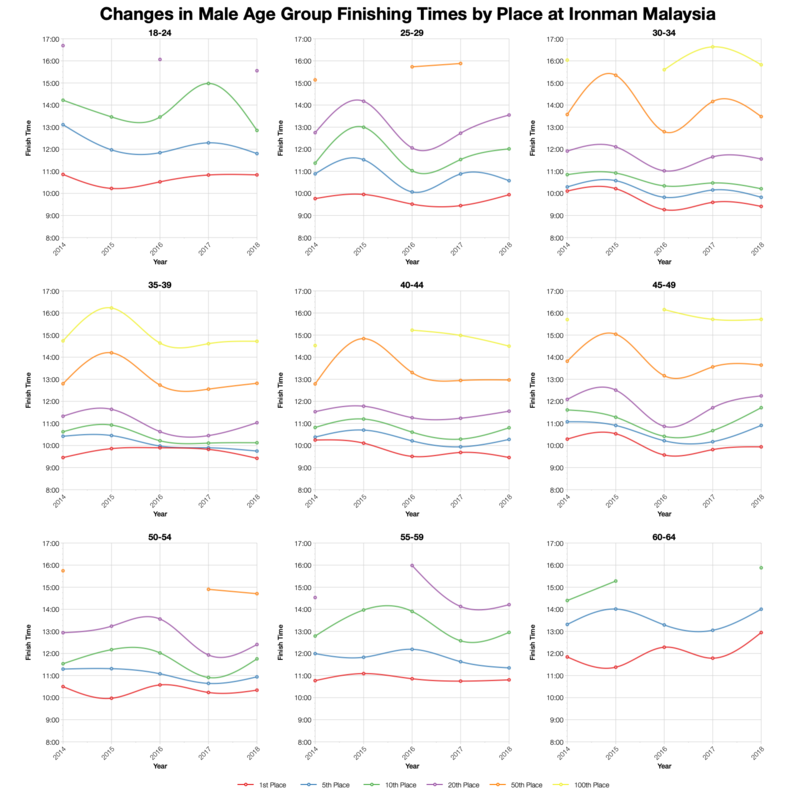 Tracking times for positions in different age groups shows quite a bit of variation over the 5 years of data. This is more pronounce further back in each age group and times are more stable at the front. 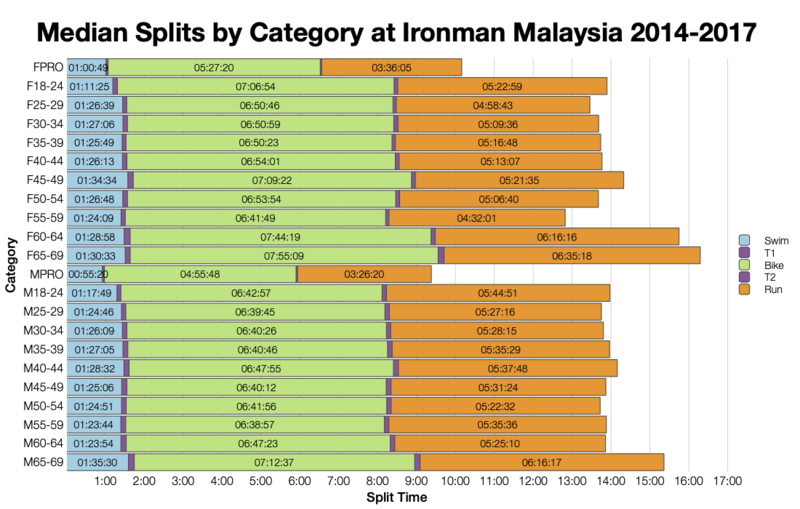 Based on the start numbers I’ve calculated the Kona slot allocation used in Malaysia. 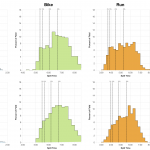 While I’ve not seen official numbers I have used a new version of the allocation method that appears to match other races. Exact numbers may vary and roll down will affect times. You can compare with other races on my Kona qualification page. 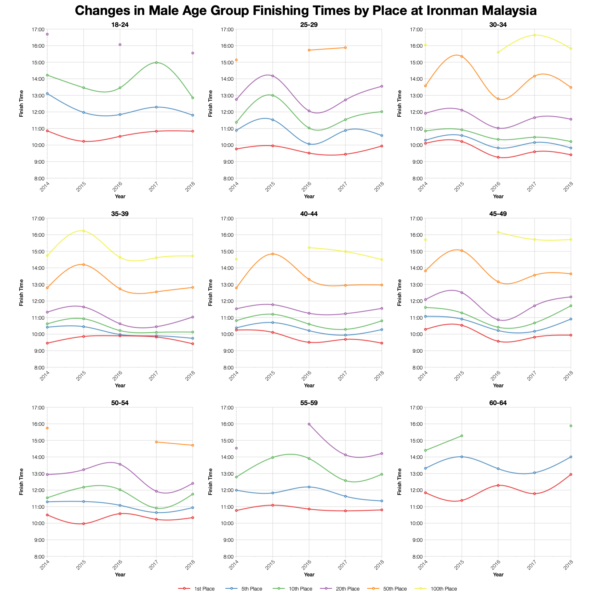 There’s quite a lot of variation in top twenty times across the age groups. Many trend close to the averages, with a few coming in slower and some coming in faster than average. 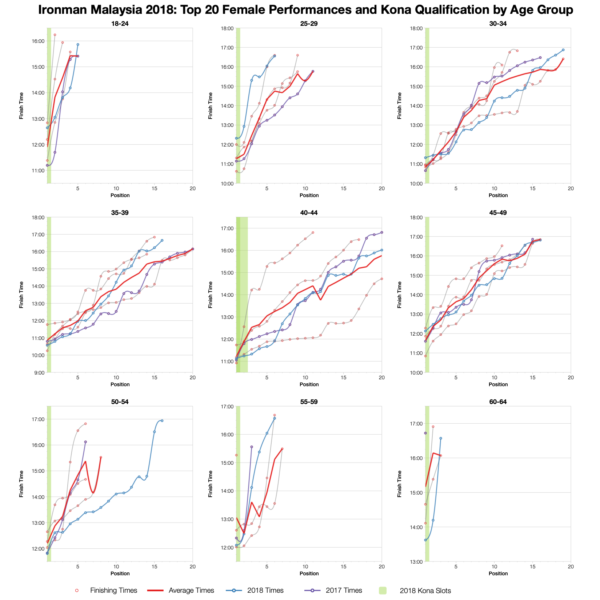 There’s no clear pattern across the age groups, although qualification times tend to be average or faster. 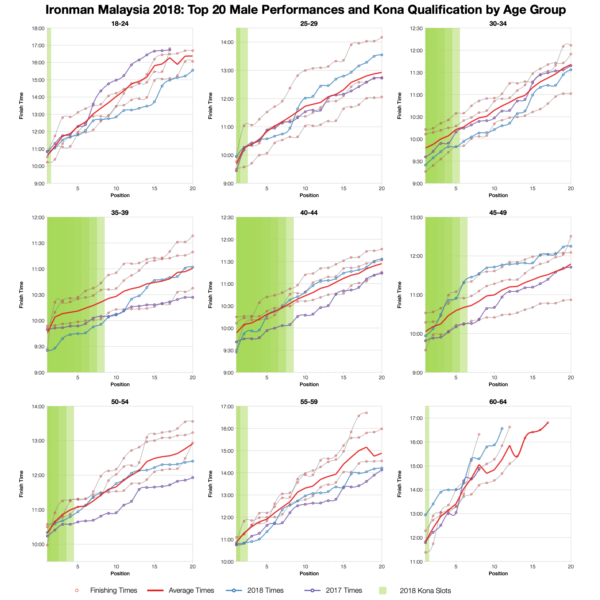 You can access a spreadsheet of the full results from Ironman Malaysia 2018 on my Google Drive.